Looking for great apps at a fraction of their regular price? 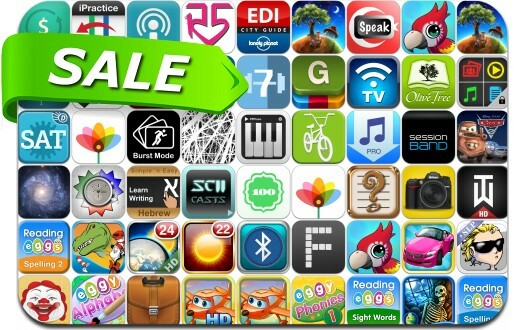 We’ve found 52 iPhone and iPad apps that are currently on sale. This app deal alert includes Free Music Download Pro, Web Albums HD for Picasa and Google+, FineScanner, Flo-Box Pro, Wreck-It Ralph Storybook Deluxe, Thicket:Classic, Tiny Cars, 3D Yoga, Nikon Lens Buddy, Time Calculator+ and many others. Super Size Me: What are we eating?